Catholicism in Brazil. Santa Teresa D´Avila celebration at Itamatatiua Quilombo, Alcantara, Maranhao State. Men carry a heavy trunk that will be used as flagstaff for the saint image. 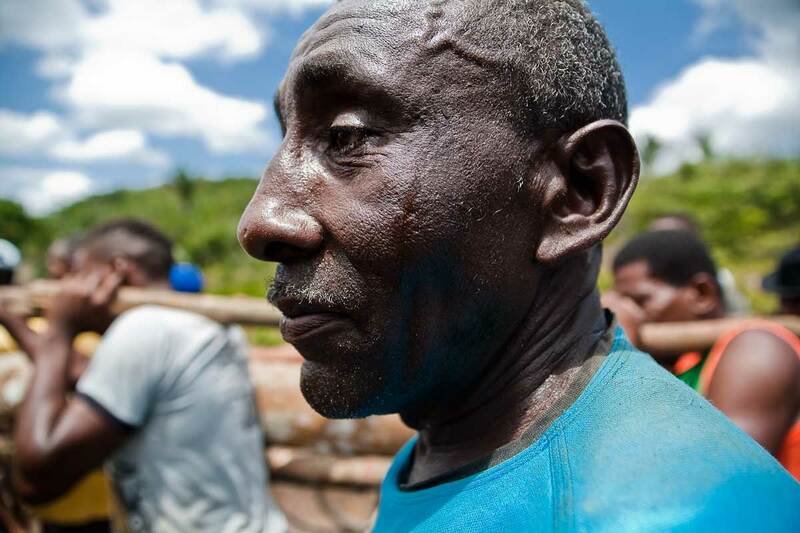 A quilombo is a Brazilian hinterland settlement founded by people of African origin.